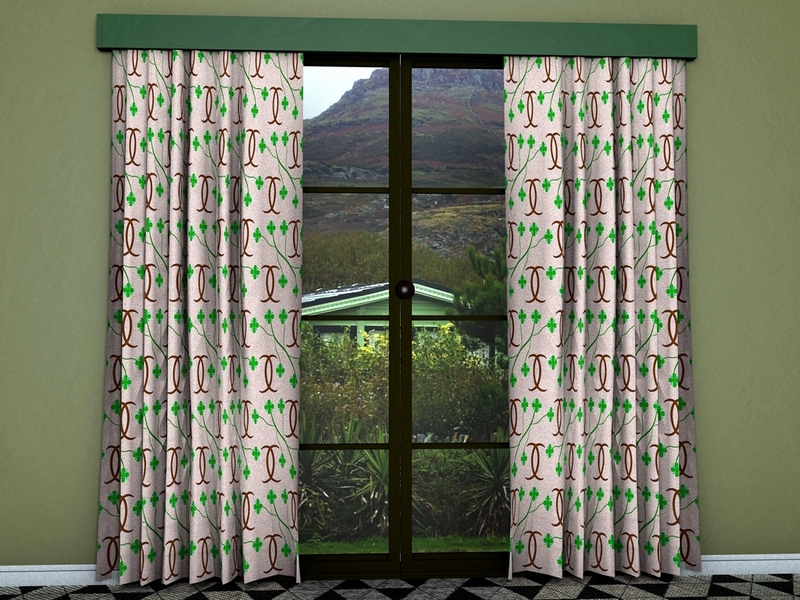 Back to curtain fabrics again with these excellent and practical mid-century inspired curtain patterns. The design is based on mid-century motifs and uses typical mid-century colours (but with a 21st century hint) to give the fabric a modern (for the time) look but with still an eye to traditional values. Since times don’t really change that much it would still be possible to use the fabric for curtaining today. 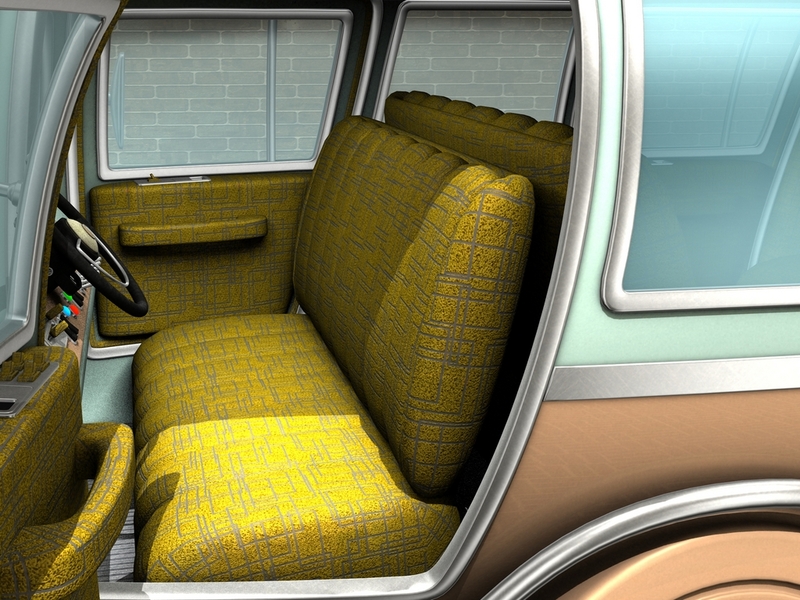 The pattern was created in Xara Designer and the scene assembled and rendered in Daz Studio 4. These are three quite stunning transportation fabrics used, in this instance, in a futuristic motor vehicle although their use is not limited just to cars. The images show the three colours used at three different scales to give an idea of the scope and flexibility of the design. 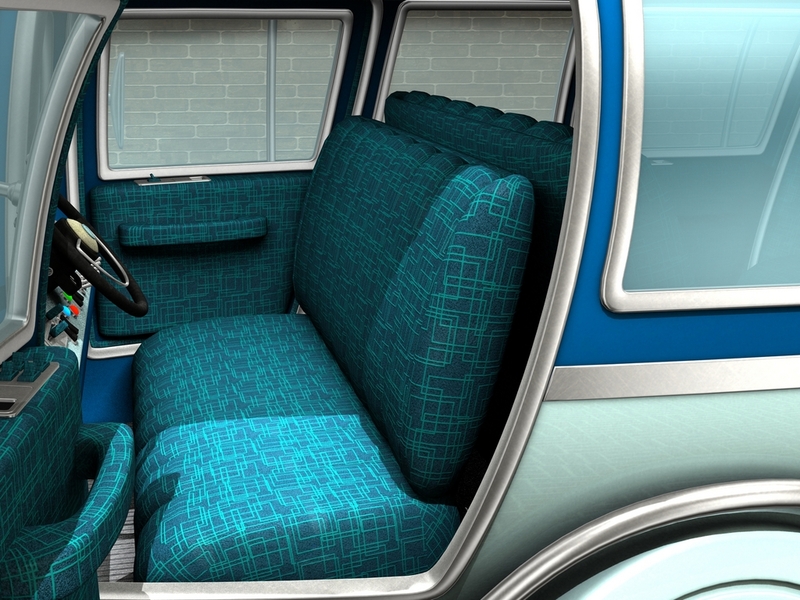 In each case the vehicle, it’s a Maxis car from Daz, has a different and matching colour scheme for the inside and out. The actual design uses many design ideas taken from mid-century fabrics, particularly those produced during the very inventive 1950s. The patterns were produced in Xara Designer and Photoshop and the scene assembled and rendered in Daz Studio 4. 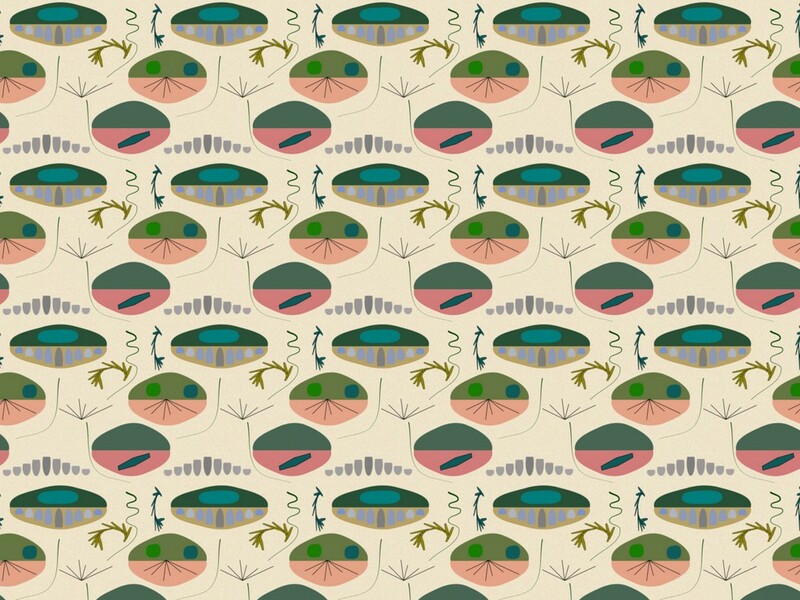 A fun and lively pattern inspired directly by designs produced in the 1960s and embodying much of what that decade was about. 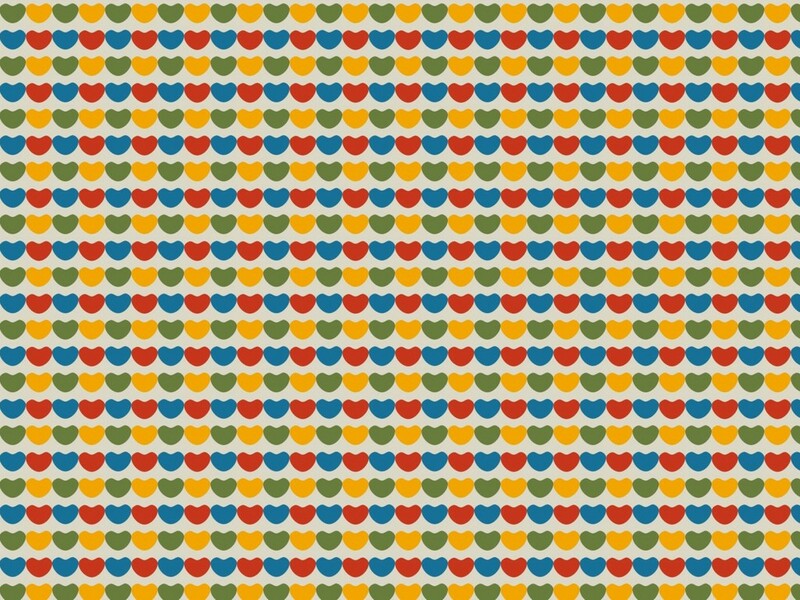 This pattern uses colours from the British Standard of that time: Pacific blue, golden yellow, Bredon green and lovely poppy red while the background is a textile 3D using silver. I saw this from the beginning as curtains and so the image is a 3D representation of the textile used as curtain fabric. Sometimes something begins as one thing and then changes into something quite different by the time you are finished. This began life as a mid-century design but evolved and ended as a much more modern and very interesting pattern. It’s always interesting the way that things work out, isn’t it? 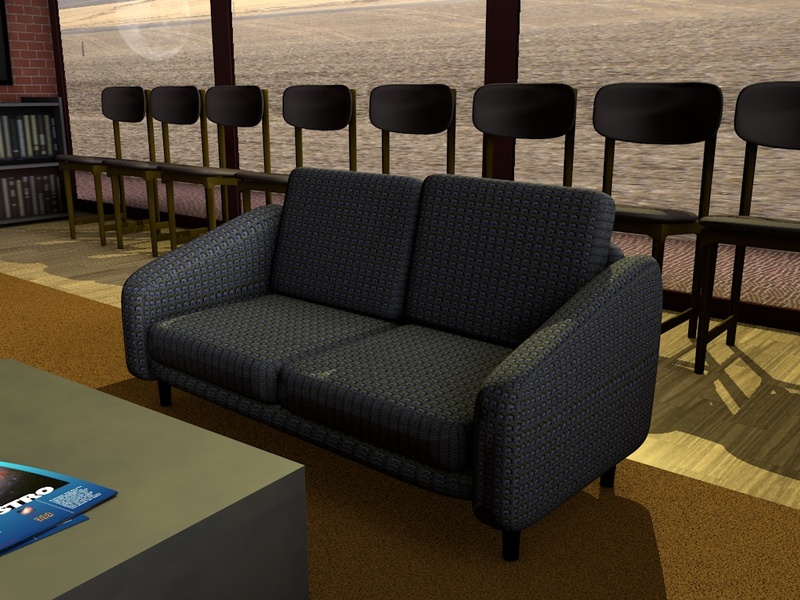 One of the fun things I get to do is design textures for use in 3D furnishings and upholstery. This design is a simple one that is intended to be used in the small and to produce an effect that is not too noticeable but which completes the look of furnishings such as this sofa. 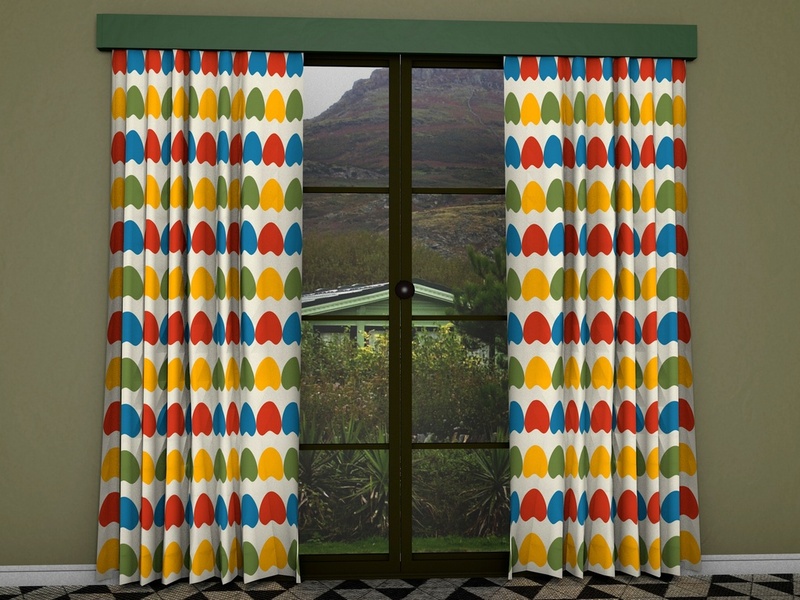 During the 1950s and 60s there were many designs that resembled this pattern which is inspired by the early 1950s. By contrast to the design I posted this morning, this pattern is very much 1950s and similar in lineage to xar290 posted on October 24th this year. I like the overall look of the various shapes used and the colouring which is very 1950s. The inspiration for this pattern lies in the many different shape used in that very inventive period. 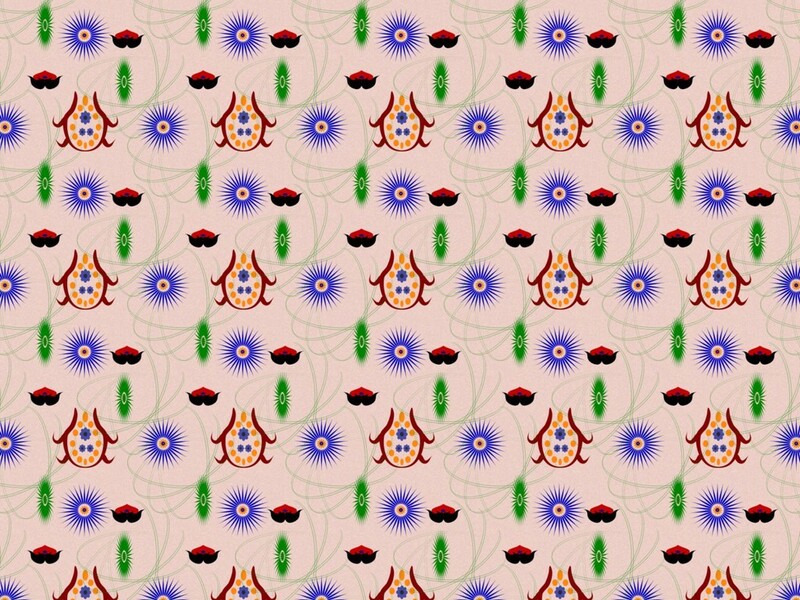 A different sort of pattern today, this is a modern design using modern motifs and colours. 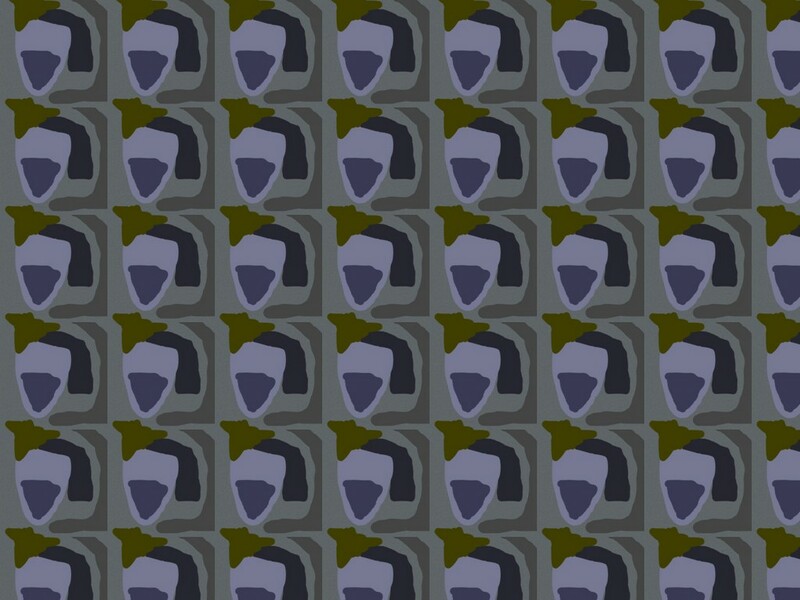 It makes a change to do something modern and this pattern deliberatively uses nothing that could be considered mid-century. There wasn’t any inspiration for it other than the desire to make something different.